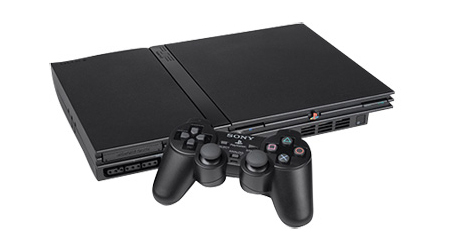 Sony has announced that starting tomorrow, April 1st, its hugely-popular PlayStation 2 console will drop in price from $130 to $99 in the US and from €130 to €99 in Europe. The console, launched back in the year 2000, has already sold in excess of 140 million units worldwide and continues to sell well thanks largely to its catalogue of some 1,900 games. Although welcome news to shoppers in search of a sub-$100 console, the announcement will come as a disappointment to many who were anticipating a PlayStation 3 price cut as suggested by numerous online rumours. Furthermore, Sony has announced that its UK PlayStation 2 pricing won't be lowered and will remain at £94.99. A resulting of the plummeting value of the pound, we reckon. In short, thats ****ing bull****. I love my PS2 and have been dying to get the latest and greatest PS2 Slimline for a while now. Given that the pound is worth basically nothing right now, it makes sense. I think the price drop will hit the UK some time soon or whenever the pound decides to stop being rubbish.